I know, I know – not yet Thanksgiving and the whole world is already gearing up for Christmas. But, since this giveaway extravaganza begins at the top of December I wanted to be sure you all knew about it beforehand. I’m talkng about Merry Fluffy Christmas! 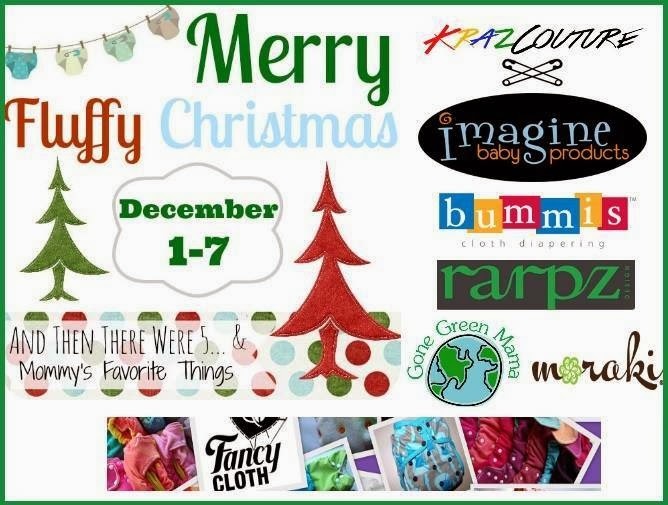 This is seriously the BIGGEST cloth diapering event of the season so make sure you come back then to check out all of the amazing prizes on each of the 45 different participating blogs! 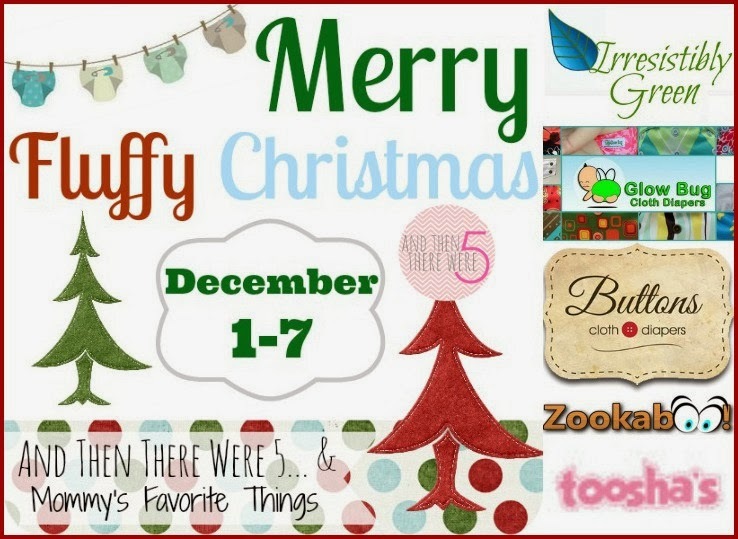 This year, the coordinators of Merry Fluffy Christmas have decided to do something a bit different and have two HUGE Grand Prize packages, on both of the host blogs, And Then There Were 5 and Mommy’s Favorite Things! Here is the first peek at what will be offered during the event! Pretty exciting, right? Come back on December 1st and I’ll have all the details on how to enter, plus my own review and giveaway from Funky Fluff Diapers – we fallen in love with their outstanding quality and amazing color section.